DOING BUSINESS WITHOUT ADEQUATE DATA SECURITY IS A NONSTARTER. WHEN KEEPING DATA SECURE IS CRITICAL, SMART CHANGE STARTS HERE. DISCOVER THE UNSEEN ISSUES FACING THE BUSINESS WORLD. Learn what Canon Solutions America's security solutions can do to help your company innovate for success in this collection of security-focused surveys, infographics, and issue briefs. 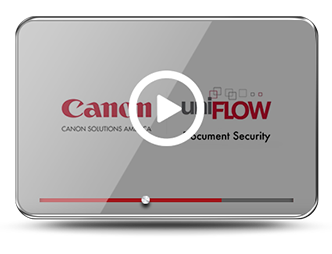 Learn how uniFLOW print software can help you go beyond best practices to offer a higher level of multifunction device security in this short product video. 50% of data breaches are the result of an inside job. See how imageWARE Secure Audit Manager Express helps keep documents and data safe from internal threats in this video. INTERESTED IN FINDING OUT HOW CANON SOLUTIONS AMERICA CAN HELP YOUR COMPANY SECURE YOUR PRINTER ENVIRONMENT? PUT YOUR COMPANY AHEAD OF ITS NEXT SECURITY BREACH. Learn the risks and get solutions in this free guide. Enterprise data is as much at risk from carelessness and lack of knowledge as it is from malicious attacks. Find out steps you can take to help shield enterprise copier fleets and in-plant operations from losses due to data breaches. 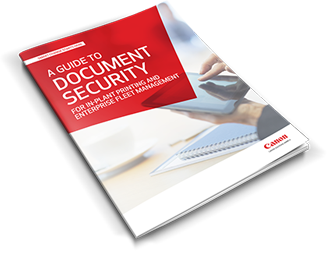 Download A GUIDE TO DOCUMENT SECURITY FOR IN-PLANT PRINTING AND ENTERPRISE FLEET MANAGEMENT. 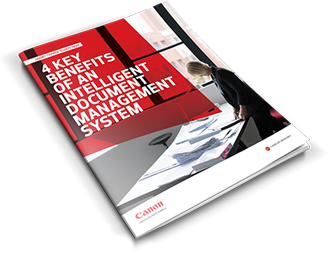 Download 4 KEY BENEFITS OF AN INTELLIGENT DOCUMENT MANAGEMENT SYSTEM. 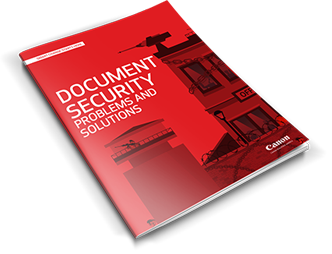 Download DOCUMENT SECURITY PROBLEMS AND SOLUTIONS. 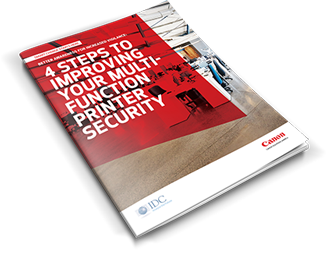 Download 4 STEPS TO IMPROVING YOUR MULTIFUNCTION PRINTER SECURITY. 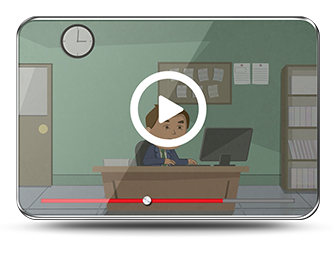 Watch the uniFLOW Document Security video below. Watch the imageWARE Secure Audit Manager Express video below. Continue to exlore risks and solutions in our general business security collection.